Stacked ring by Graziela Gems. 18-karat white gold illusion-stacked bands. Pavé white diamonds trim bands. 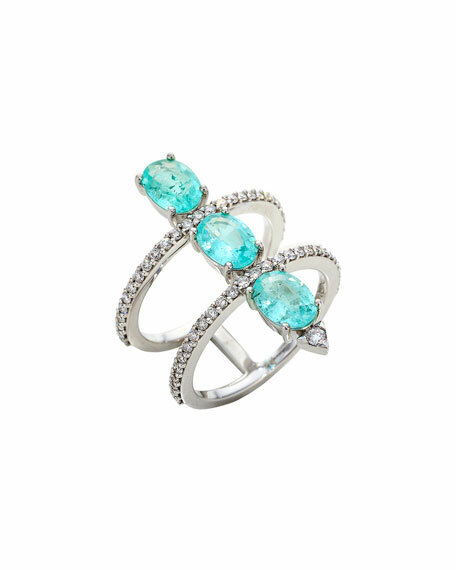 1.89 total Paraiba tourmaline carat weight. For in-store inquiries, use sku #2044155.